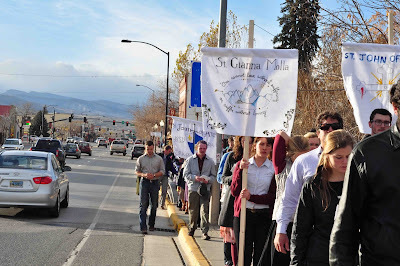 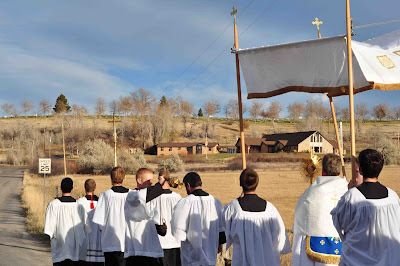 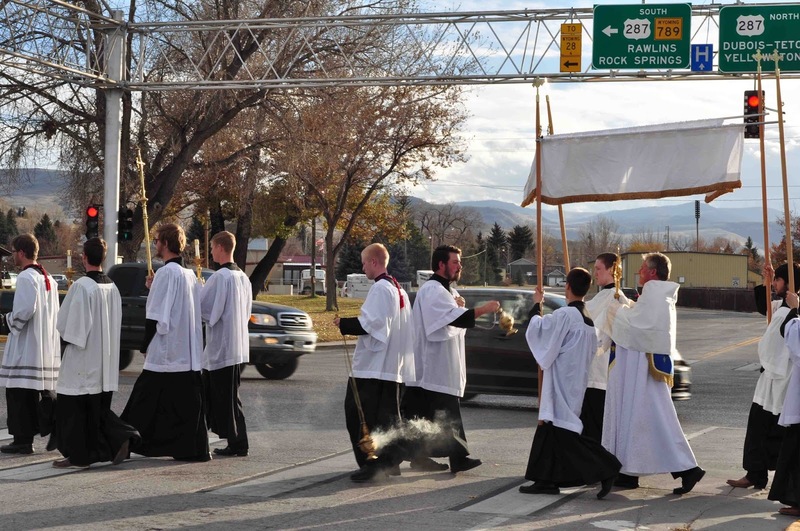 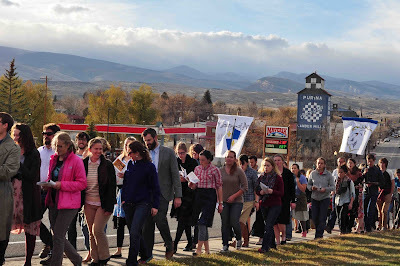 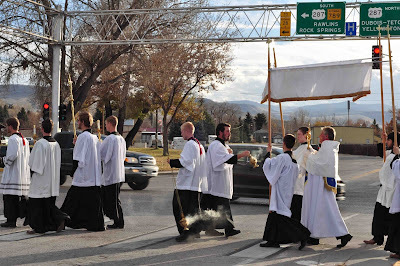 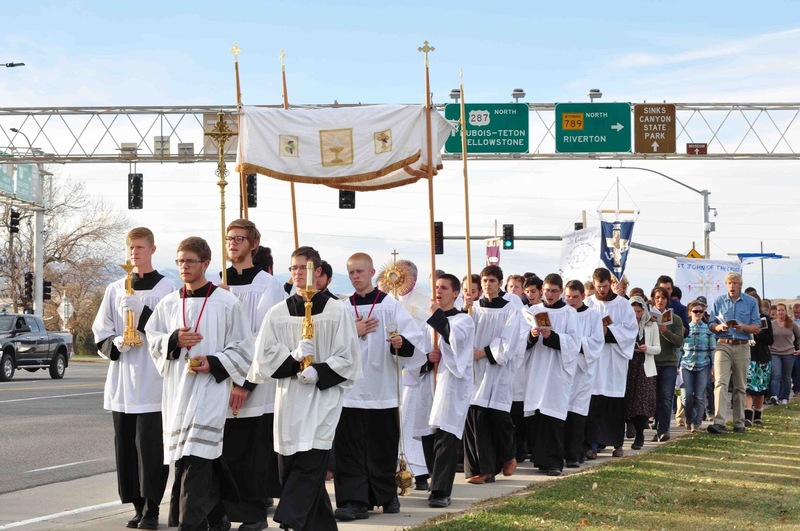 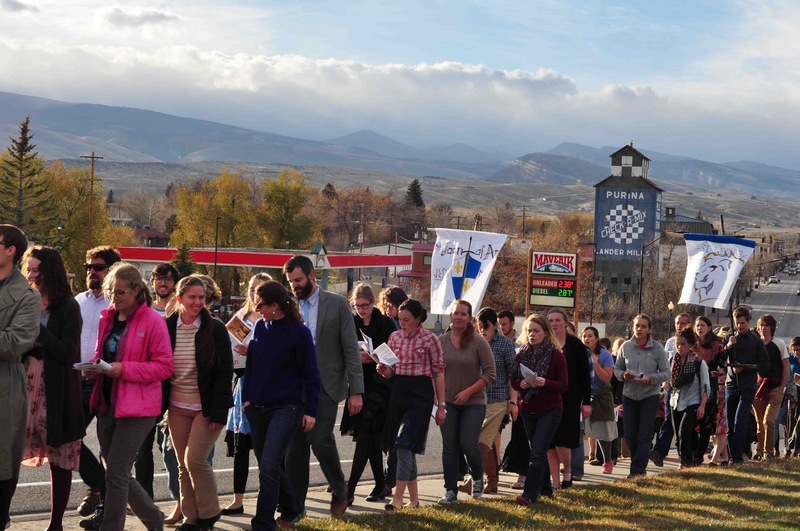 A few years ago, students at Wyoming Catholic College decided to ask if they could do a Eucharistic Procession on the Solemnity of All Saints, in honor of Christ, the King of all the Saints. 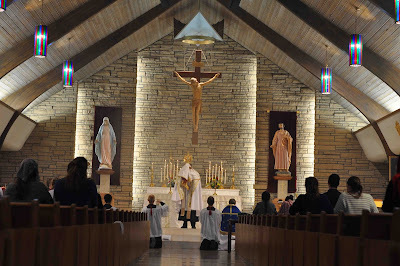 Since students are always gone in the summer time at Corpus Christi, they wanted to find a different opportunity to express their faith in the Real Presence of Our Lord in the Most Blessed Sacrament. 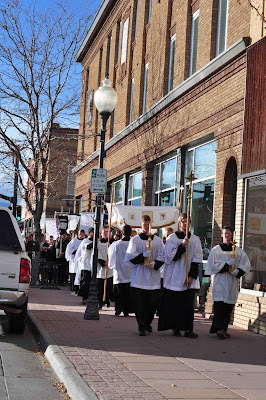 Thus was born an annual custom of processing from the downtown chapel (“De Smet”) to the town’s parish church of the Holy Rosary, singing English and Latin hymns. 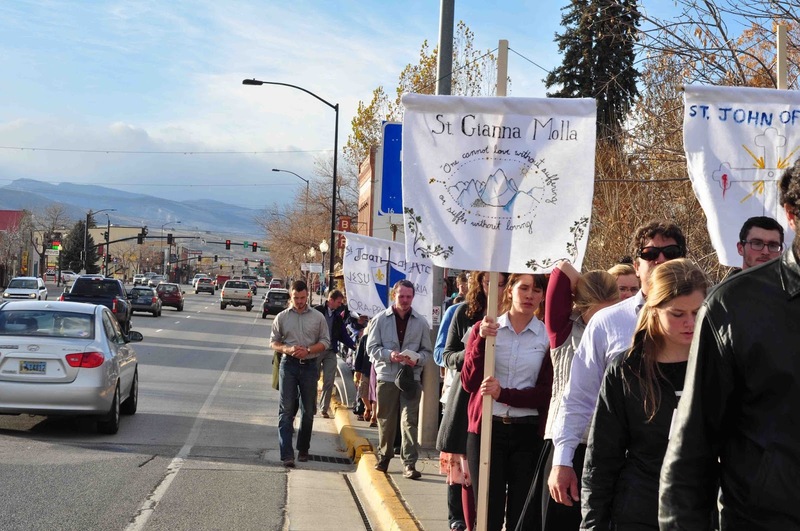 Students made banners based on their dorms’ patron saints. The traffic slows to have a look, and pedestrians step respectfully to the side, watching the long train of students, faculty, staff, and family members pass by... watching Christ pass by. 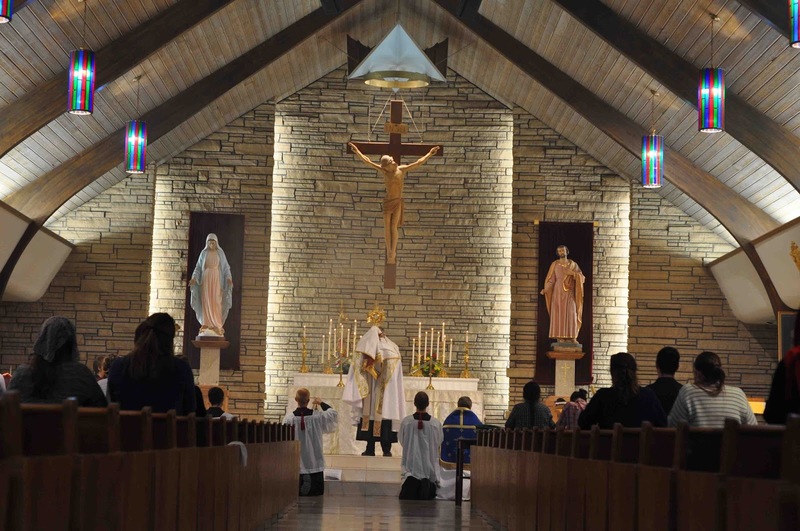 The New Evangelization can surely take many forms, but without a doubt we need public forms like this one, a peaceful but powerful witness to our faith in Emmanuel, God among us, the Word made flesh. Once the procession reached the church, the faithful chanted Solemn Vespers, which concluded with Benediction.